During all of March we have been producing and presenting in Montreal, Canada a unique immersive live performance fusing contemporary dance, 360º live action visuals and live music. Developed by 4Pi Productions in partnership with the Society of Arts and Technology (SAT), Liminality had its world premiere on the 13th March at the Satosphere in Montreal to a sold out audience and has been presented as part of the official selection of FIFA (International Festival of Films on Art) between the 13th and the 31st of March 2018. Liminality began as part of the UK India Year of culture with support from British Council Wales and Wales Arts International. 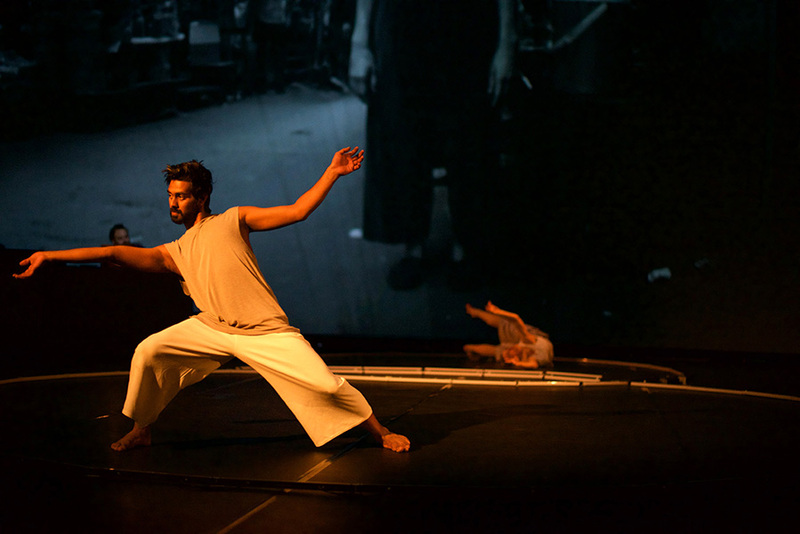 4Pi Productions and Wales’ choreographers Kim Noble and Hugh Stanier have been working together for over a year capturing dance sequences in Wales and India alongside three Indian dancers to reflect upon the influences of both cultures on each other. The dancers move from industrial landscapes to remote coastal areas in both countries and explore what unites and separate them in this collaboration of cultures and technologies.